Adding the contents of Zija's easy-to-open drink packets to water each morning and consuming at least 15 minutes before a balanced meal will fill you with Moringa-enhanced nutrition and prebiotic benefits. Moringa is reported to promote healthy circulation, support normal blood glucose levels, nourish the immune system, and provide anti-inflammatory support all while enhancing mental clarity and displaying anti-aging benefits. By drinking one Zija Core Nutrition mix every day you can help your body strengthen your immune system, digest foods efficiently, increase nutrient absorption, maintain a healthy weight, and increase energy levels. With the evolution of the modern diet it has become more and more difficult to consume the nutrients that we need to thrive. 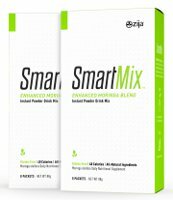 Add a SmartMix easy-to-open packet to water for a dose of Moringa nutrition and prebiotic benefits. 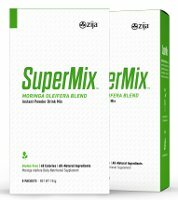 SuperMix is packed with even more Moringa than our original SmartMix, so you'll get an extra boost of 90+ verifiable, cell-ready vitamins, minerals, vital proteins, antioxidants, omega oils, and other benefits. Zija offers a $20 one-time fee 1 year Wholesale Membership that lets you purchase any Zija International product at the same price as Distributors. Often you can save the cost of the membership in just your first order! For those that don't wish to have a Wholesale Membership, but also wish to save money, there is the ROC (Repeat Order Customer) option that allows you to purchase Zija products with an automatic autoship. Your favourite Zija products arrive at your door exactly when you need them!